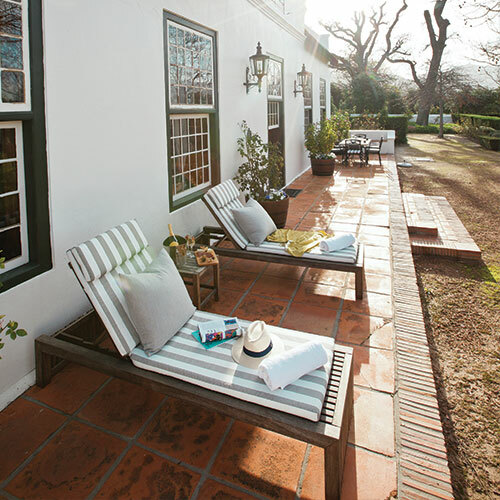 Steenberg Hotel will close for renovations from 01 May 2019 – 02 September 2019. We are very excited to share our beautiful changes with you later in the year. Steenberg Vineyards Tasting Room and Bistro Sixteen82 will continue to welcome visitors as normal. The Manor House, with its striking gable and high beamed ceilings, is one of the historic homesteads of the Cape. The original Manor House dates back to the 17th Century and has been endowed a Provincial Heritage Site. The Manor Suite that is located within the Manor House combines old-world charm with modern elegance. Lovingly decorated with unique Cape Colonial Antique furniture, this suite 97m2 features a spacious en-suite bedroom with traditional four-poster bed, as well as separate private lounge. This suite also features a generous patio overlooking the Manor House’s rolling lawns, with views extending to the distant mountains and vineyards beyond. 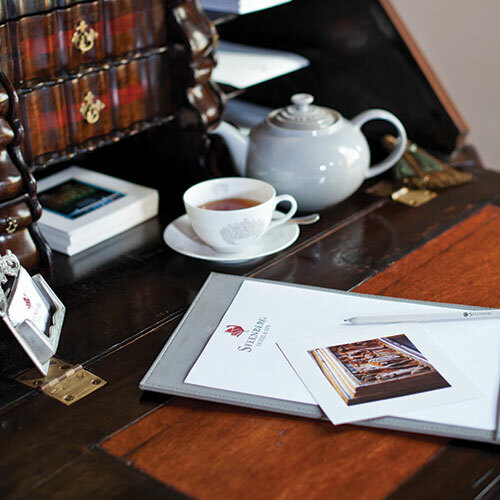 Manor Suite guests can look forward to the understated luxury and personalised service that makes Steenberg Hotel a favourite with both international and local visitors. All prices are per room per night, quoted in South African Rand, inclusive of Breakfast, VAT and Tourism Levy. Please note that due to exchange rate fluctuations, prices listed should be used as a guide only.